The deans of the University of Maryland and Johns Hopkins University schools of medicine examine how funding the National Institutes of Health helps save lives, support our economy, and more. Editor’s note: The opinions expressed by the author do not necessarily reflect the opinions of the AAMC or its members. A version of this piece originally appeared in the Baltimore Sun. In 1900, life expectancy in the United States was less than 50 years. Today, it is nearly 80. In 1915, 10% of babies born here died before the age of one. A hundred years later, this rate has declined precipitously, to less than one in 10,000. Through biomedical research, as well as public health advances, we have vanquished smallpox and nearly eliminated polio; we have sharply reduced measles, cholera, typhoid, and other infectious diseases that once killed tens of thousands of Americans each year. 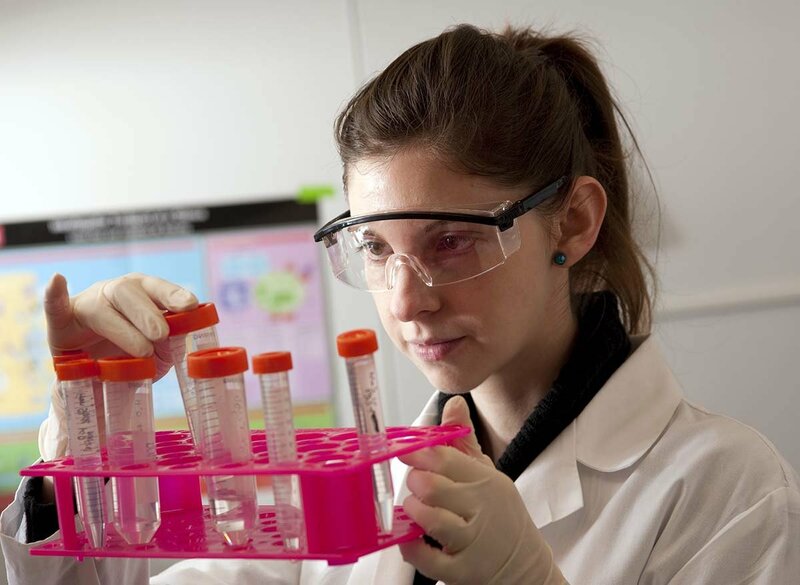 We have developed powerful treatments to combat heart disease, cancer, and other diseases. In large part, this historic progress rests on the work of thousands of scientists—work that requires patience, tenacity, time, and money. This is why we applaud Congress for upholding our long-standing national commitment to medical progress by infusing an extra $3 billion into the National Institutes of Health (NIH) budget for 2018, after substantial back-to back-increases in the two years prior. When faced with difficult decisions to balance the federal budget moving forward, we hope lawmakers will continue to protect critical investments in research and innovation. Beyond saving lives, medical research and discovery are powerful economic engines. For every job in the biopharmaceutical industry, two jobs are created for those who provide services to this industry. According to the nonprofit group United for Medical Research, in 2016 the NIH supported nearly 380,000 jobs and $65 billion in economic activity. There’s more. A recent study by researchers at Harvard Business School, MIT, and Columbia University examined more than 365,000 research grants awarded between 1980 and 2007, nearly all of them funded by the NIH. The researchers cross-checked the grants with U.S. patent data and found that more than a third, over 130,000, resulted in more than 80,000 patent applications by private companies and universities. Clearly, federal research funding plays a crucial role in the private-sector free enterprise system. We have more than 100 years of powerful, irrefutable evidence that biomedical research saves lives and powers our economy. Today, we stand at the brink of a new era in medicine. With the help of a growing array of sophisticated technological and genetic tools, we are creating new approaches that have the potential to eradicate diseases that devastate or kill tens of millions of people in this country and around the world. However, realizing this potential will require years or even decades of intense research—and a commitment to robust, sustained, long-term growth in our nation’s investment in medical research. We should also remember the importance of funding public health in an era of globalization. Ubiquitous international travel has made it easy for infectious diseases, including Zika, West Nile virus, and Ebola, to spread within hours from Africa or Asia to the United States. Reducing the research budget would severely injure our ability to monitor these potential threats and to respond aggressively once they appear. To understand the importance of research and discovery, we need only look to China, a country sharply focused on becoming a world leader in the 21st century. Already, China has more researchers than we do. It now ranks second to the United States in research funding but is aggressively increasing how much it spends on science. A 2016 report by Credit Suisse predicted that by 2020, China will pull ahead of the United States in total research funding. We have more than 100 years of powerful, irrefutable evidence that biomedical research saves lives and powers our economy. We must continue to remember that this work is the foundation of future breakthroughs. It not only protects the precious gains we have already made, but it also supports our overall national health and prosperity. 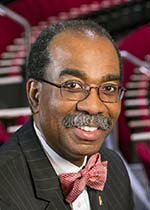 E. Albert Reece, MD, PhD, MBA, is the executive vice president for medical affairs at the University of Maryland and the John Z. and Akiko K. Bowers Distinguished Professor and dean of the University of Maryland School of Medicine. 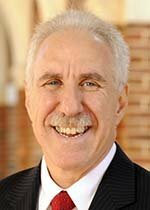 Paul B. Rothman, MD, is the Frances Watt Baker, MD, and Lenox D. Baker Jr., MD, dean of the Medical Faculty, vice president for medicine of the Johns Hopkins University, and CEO of Johns Hopkins Medicine.